← Happy Independence day Ghana! This entry was posted in Africa, History, Nigeria, The Gambia, The River Niger and tagged Africa, Congo, Gambia, Mungo Park, Nigeria, River Niger, Senegal. Bookmark the permalink. Nice Piece! You should trace your roots, you never can tell :)The e-book is available online though. He had a servant named Johnson that also continued from where he stopped. Nigeria will be glad to receive you! I really love your effort,keep it up dear. Hi, Have you been successful in tracing your roots? Nice! have you got a private mail to discuss on that? Sorry ma’am i haven’t got a facebook account, email maybe? Hi, I will love to hear your side of the entity called Nigeria. It really gud to see people after Africa’s history most especially Nigeria….u really got some importants informations about his life..hahaha mungo park! 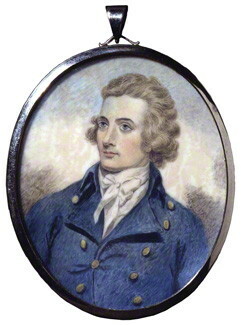 I really do love your brief history about Mungo Park, a person Nigeria still remember. Lovely piece. From my point of view, Mungo park did not discover the river Niger however this is what history has made us believe. Afterall people lived in those areas even before he startd his Journey. Also, u should trace ur roots, u never can tell. Nigeria is Beautiful. Welcome to Nigeria. To the western communities, park did discover the Niger river and the indelible bearing partially has sway in our belief here owing to the fact that western education makes the assertion. But pragmatic evidence is overwhelmingly showing that Africans know about the river long before the said discovery. Mungo park is however a name we Nigerians love so much especially for his remains being yet here. Welcome ‘new park’ into Nigeria.